Anita Hill will be in person for a Question and Answer Session at the 4:30pm & 6:45pm screenings of ANITA: Speaking Truth to Power on Friday, March 21! 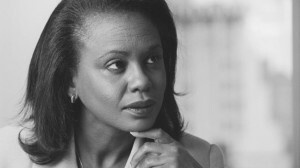 Anita Hill will be in person for a Question and Answer Session at the 6:45pm screening of ANITA: Speaking Truth to Power on Friday, March 21 at Lincoln Center in New York City. One half of the proceeds from the Sackler Center First Awards go to Girls for Gender Equity. • OVERLY-DISCIPLINED through suspensions, zero tolerance and arrests in school? • INCARCERATED at the highest rates in history? • DISCONNECTED from family & community? • OVER-SEXUALIZED in the media? • HARMED by abuse, trauma, and violence? • TRAFFICKED and sexually abused? On International day of the girl, cis and trans girls will tell you #WhyWeCantWait. Professor Kimberlé Williams Crenshaw will moderate.